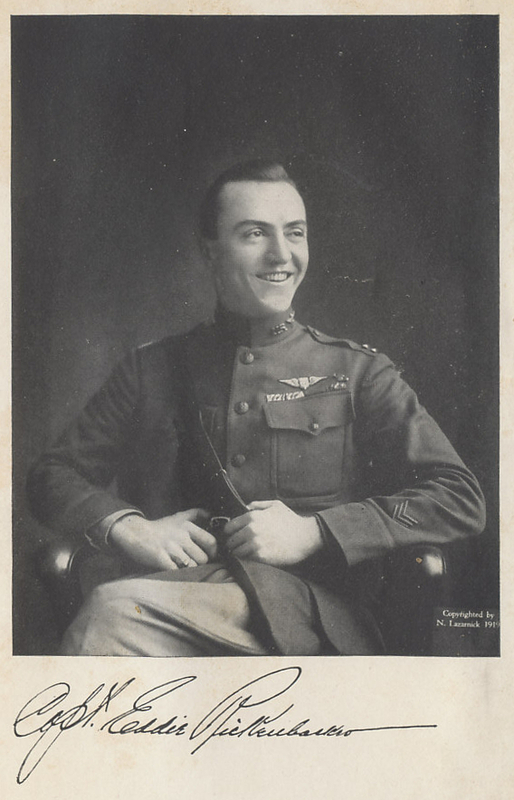 Photograph of Captain Eddie Rickenbacker, America's Ace of Aces, the frontispiece from his memoir Fighting the Flying Circus. 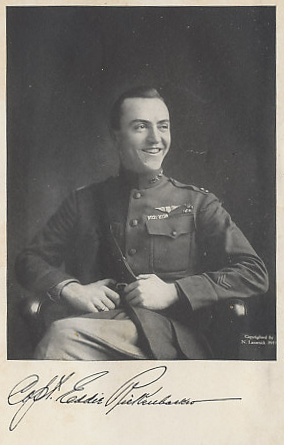 A race car driver before the war, Eddie Rickenbacker raced against airplanes as well as cars. 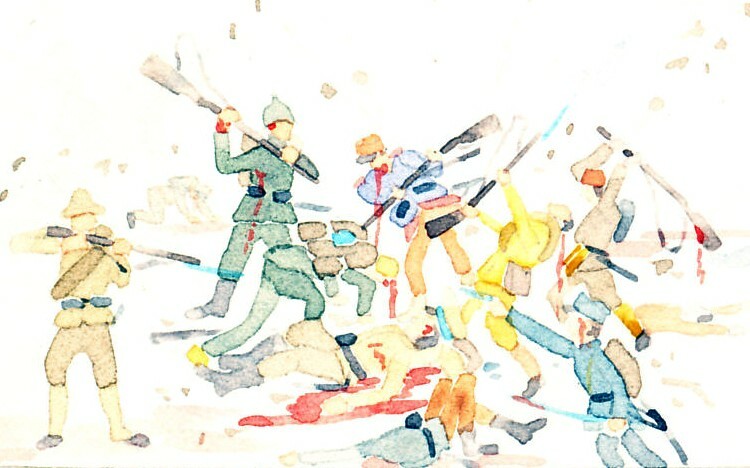 He became the greatest American ace of the First World War with 26 victories, four of them observation balloons.